Teesside is a historic, urban area running along the beautiful River Tees in north-east England. This conurbation is home to just under 400,000 people and consists of the Middlesbrough urban area and other smaller surrounding cities including Billingham, Redcar, Stockton-on-Tees and Thornaby. Teesside is famed for a vast blend of sights and attractions like the Stockton Infinity Bridge. Cheap flights to Teesside are now available for a limited period of time, so get ready to explore the pre-historic cultures and cities sprawled across the River Tees! The Teesside urban area is served by the Durham Tees Valley Airport (MME) which is located just 20 minutes out of the Middlesbrough city centre. Take a look at the century old Tees Transporter Bridge. Still standing strong, it connects Middlesbrough to Port Clarence on the north bank by transporting vehicles across the river with a suspended platform. 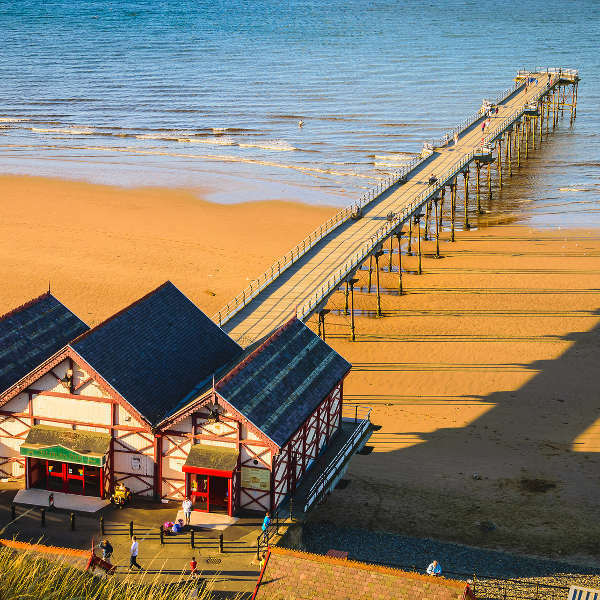 Just outside of Middlesbrough there is a multitude of coastal towns to visit along the north-east coastline; take a day trip to the charming Saltburn where you can get your toes wet at the beach or stroll on the Victorian pier. 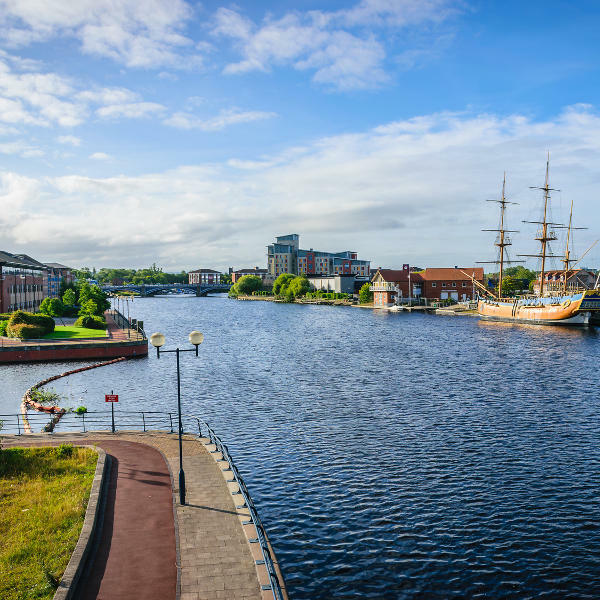 While in Stockton-on-Tees, enjoy a relaxing boat trip along the River Tees where you can learn about Teesside’s history and enjoy views of other cities that are part of the urban hub. The best time to visit Teesside is during the summer months of June, July and August. The blue skies and bright sunshine give a new feel to the seemingly harsh industrial skyline along the River Tees. July and August are the warmest months in the region and you should definitely go sightseeing in the city’s pleasant temperatures. 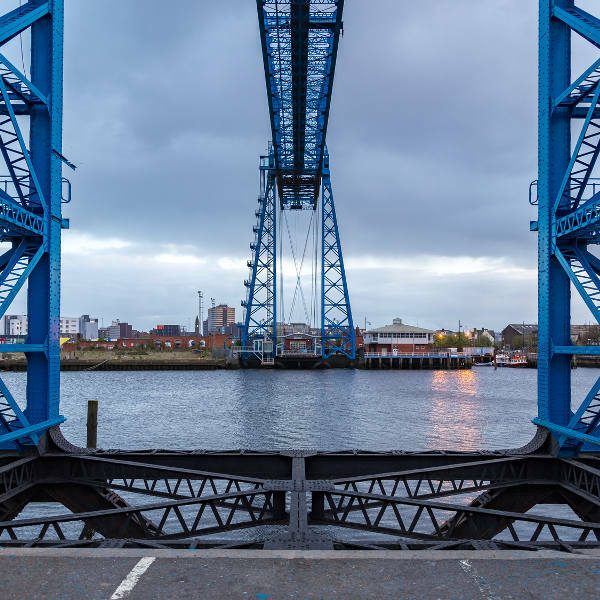 Check out the 106-year-old, steel Tees Transporter Bridge in Middlesbrough or stroll through the city’s streets lined with Victorian styled buildings. There are many quaint coastal towns to visit along the north-east coastline creating a perfect opportunity to take a day trip to the charming beach towns of Saltburn and Staithes. To avoid high air fares, accommodation and general holiday prices, try to visit Teesside during the shoulder seasons from March to May and September to November. Teesside is a unique mix of industrial urban sprawl and beautiful riverside views with luscious country hills painting the skyline.This historic urban area running along the beautiful River Tees in north-east England is a metropolis consisting of Middlesbrough city and other surrounding cities of Billingham, Redcar, Stockton-on-Tees and Thornaby. Middlesbrough is a vibrant student town and home to popular English Premier League football club, Middlesbrough FC. Explore the trendy Baker and Bedford streets that host a multitude of bars and restaurants where you can enjoy a pint of pale ale, a cocktail, or taste local dishes like the parmo-chicken fillet. These streets are also popular for their lively nightlife. Take a scenic day trip along the north-east coastline where you will find quite a few quaint coastal towns and beaches, including Saltburn and Staithes. Stockton-on-Tees is located right next to the majestic river. Relax on a boat trip along the River Tees where you can learn about the urban hub’s unique history and enjoy views of other tiny cities that are part of the Teesside community, such as Yarm. Teesside has a vast blend of sights and attractions and will be a fulfilling travel experience for the adventurous tourist. Compare several airlines, and book your cheap flights to Teesside online at Travelstart. Make sure your routine vaccines that include the MMR vaccine, DPT, Chickenpox, Polio and yearly flu shots are updated before travel. It is advised that you practice general safety precautions. Keep your valuables and important documentation safe and watch out for petty crimes like bag-snatching or pick-pocketing, especially in crowded streets and city centres. Public drinking is banned and while there, try to avoid intoxicated club hoppers.